Busy Bags are great to have on hand when you need a few minutes of uninterrupted quiet time or when you and the kids are waiting at the doctors. 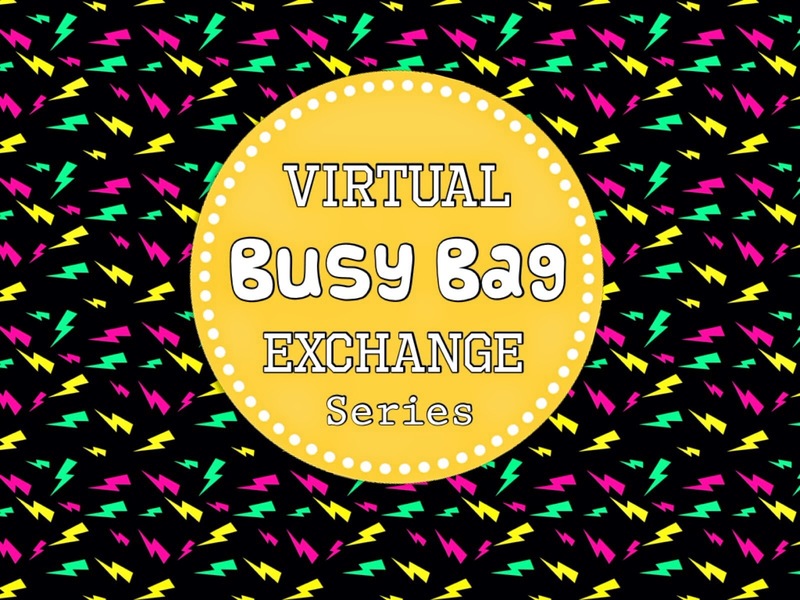 If you would like a detailed explanation of what Busy Bags are and some more examples head over to Teach Me Mommy for the Introduction to our Virtual Busy Bag Exchange. I have teamed up with 11 other bloggers to present you with Busy Bags that you can use with Babies through to School Aged children. Today Kim from Life over C's, Kelly from Kelly's Classroom and myself have swapped Busy Bags suitable for 5 and 6 year olds. Once you have finished with our Busy Bag make sure you head over to Kim's and Kelly's blogs via the links above to see the other bags for this age group. 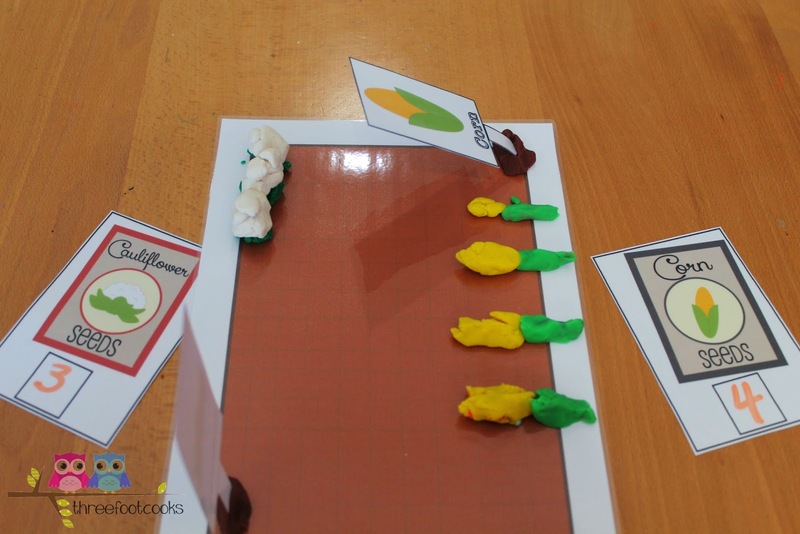 I came up with a vegetable garden theme for our Busy Bag. Growing their own vegetables and herbs is a great activity for children of all ages to be involved in. 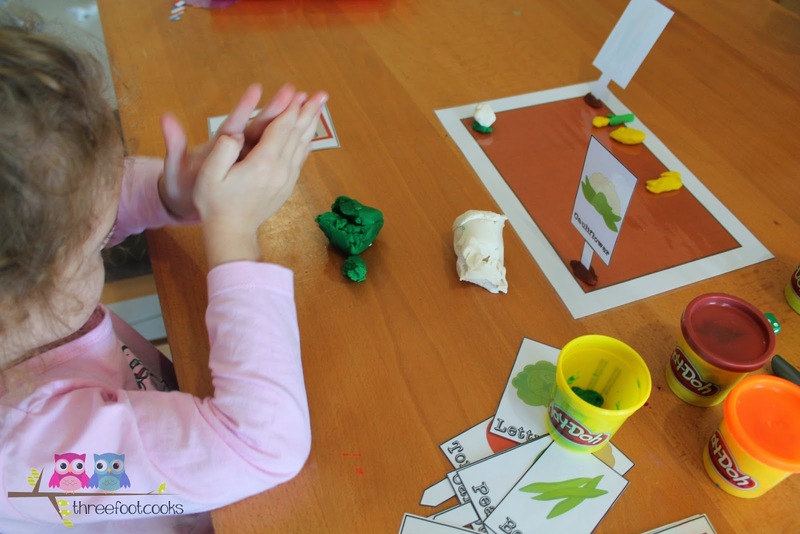 In our Grow My Garden Busy Bag, kids get to choose a vegetable to 'plant' in their garden. 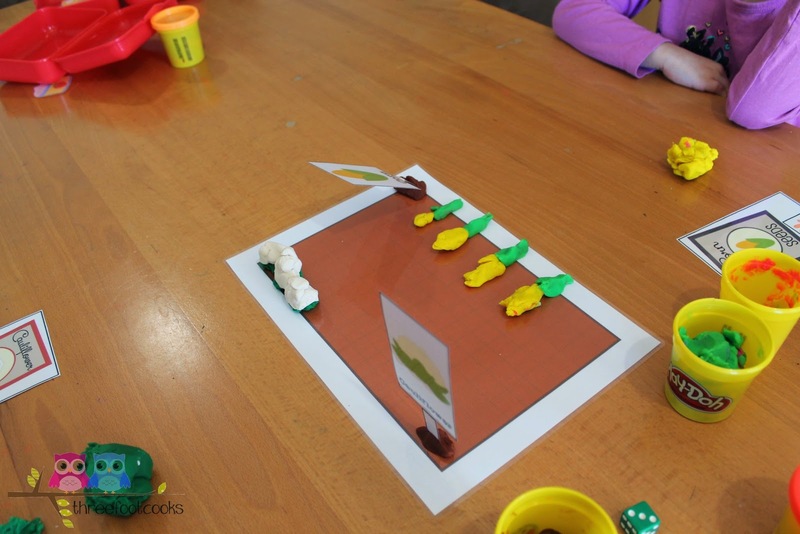 Then then roll the dice to see how many of that vegetable they need to 'grow'. 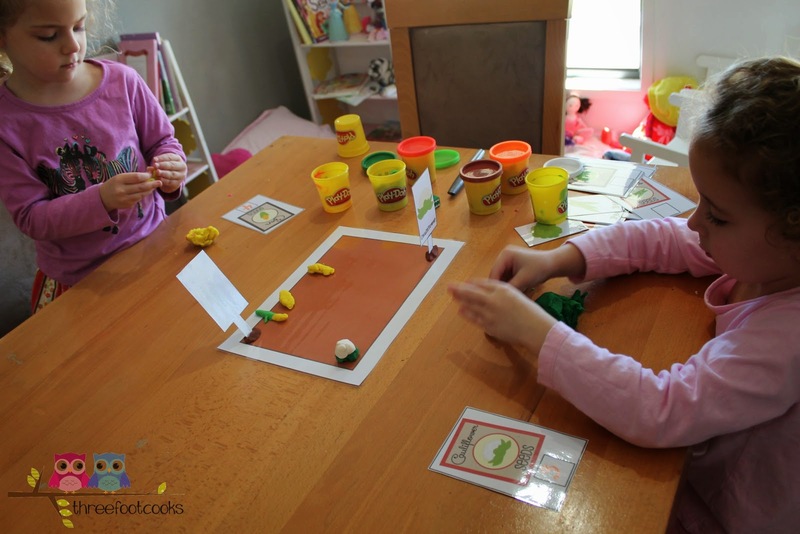 Your child then makes the number of vegetables needed out of the playdough and places them in the garden. 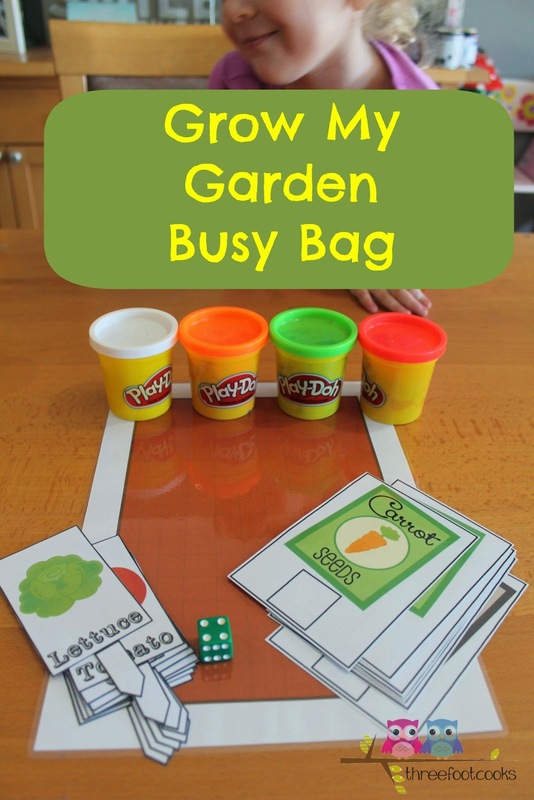 For full details on how to put this busy bag together, download the Grow My Garden Busy Bag printable file. Bee making cauliflowers for her side of the garden. 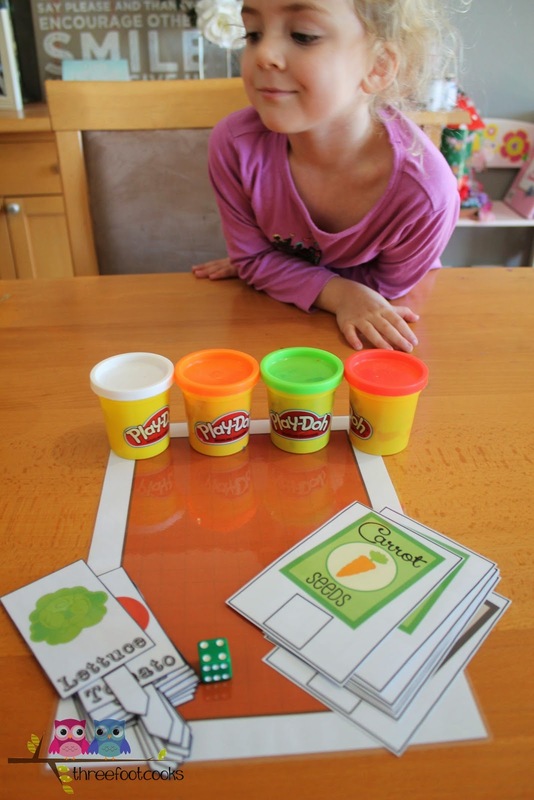 The girls worked together so we wrote the number from the dice onto the seed cards. And make sure you come back tomorrow to see our Busy Bag for School Aged children. 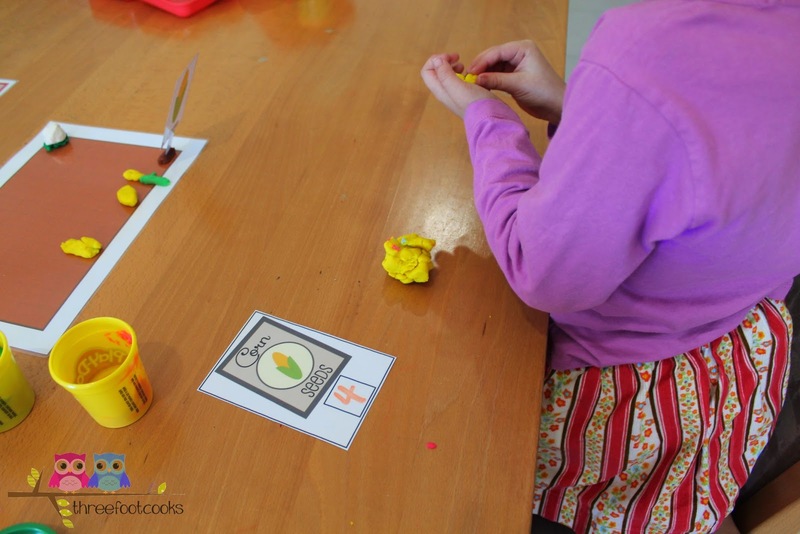 If you have a Busy Bag idea suitable for 5 and 6 year olds be sure to link it up below. *By linking up, you agree to have your images featured / shared with credit. Also check out our Virtual Busy Bag Exchange board. What a fun activity! And great learning too! Thanks for participating! Thanks for organising. It's been a fun challenge coming up with something that would fit my blog. © Maree Mortimer 2012-2013. Simple theme. Powered by Blogger.